Henry Ford College Workforce and Professional Development provides comprehensive career and technical training programs for new workers and those who wish to advance in their careers. Our customized, person-centered training courses include manufacturing education and skilled trades, supply chain logistics, business and computer technology, energy and construction technology, health sciences, industrial sewing and pattern making, professional skill development, career enhancement, and other in-demand areas. We work directly with business and industry to make sure our training programs meet their needs and our graduates possess updated skills for in-demand jobs. Our programs and services also meet the needs of people seeking personal growth and enrichment in our community. Options include GED testing, certification testing, apprenticeships, dual enrollment, and articulated credit (dual enrollment in high school and college). Business and industry are influenced by social and economic forces to produce quality goods and services that meet the needs of a global economy that requires efficiency, quality, and innovation. In today's workforce, you must be able to build and advance your career while exploring new training opportunities that meet the needs of industry now and in the future. At HFC, we align our academic programs with industry needs, identify areas of professional growth for current workers, and provide for new hire training and orientation (onboarding) in various industries. The Industrial Sewing Certificate Program trains people for entry-level jobs within the industrial sewing industry. Topics include safety, ergonomics, sewing machine operation, stitching and finishes, set-up, quality, maintenance, and troubleshooting. Students train with woven, knits, expanded vinyl, fine fabrics, and leather. Future career pathways include pattern making, machine repair, cutter, time study, supervisor, and engineer. The Pharmacy Technician, Level II (Complex Skills Certificate) program is designed to prepare professional multi-skilled individuals for entry-level pharmacy technician jobs in hospital, retail, community, or other institutional pharmacies. Clinical duties are emphasized in the classroom and laboratory with directed practical experience in selected hospital, outpatient, home infusion, long-term care, and compounding pharmacies. To support students in the program, every Friday includes a tutoring/study session along with a representative from CVS to reinforce customer service, job duties, role-play situations, and additional employment information. Henry Ford College has emerged as a national leader for manufacturing and industrial maintenance training and development programs, and has sustained our status as a leading training institution in local and national job markets. 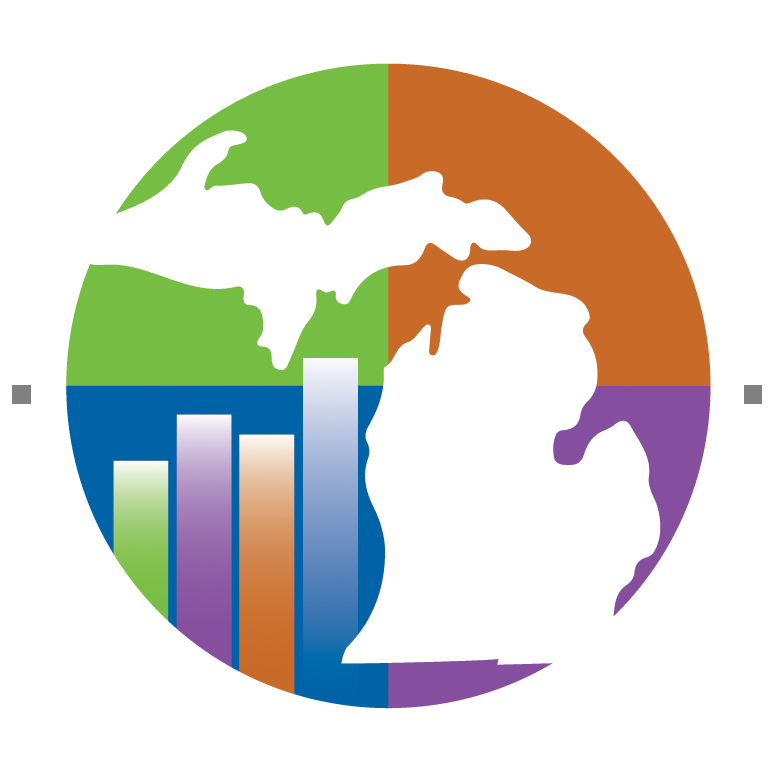 We provide a broad range of skilled trade training programs to prepare new and existing workers to serve Michigan’s manufacturing economy, while addressing the gap between the skills employees possess and the skills needed by industry. HFC works with employers in every industry to develop effective apprenticeship programs. A well-defined apprenticeship program provides an opportunity to earn a salary while learning the skills to succeed in high-demand careers. For businesses, HFC programs enable your company to cultivate a highly skilled workforce so you can remain competitive and take a leadership role in your industry. Provides non-credit training for an operator level of skill and knowledge. Students with this level will develop a basic understanding of robotic operations and programming, material handling and its components, and introduction to Roboguide simulation software. This certification is focused on the core Robot Operator skills for entry level or existing workers. Provides non-credit training for a technician level of skill and knowledge, with a more advanced understanding of robot operations and programming, material handling techniques, technical system components, and 2D integrated robotic vision guidance and part inspection process. The training is focused on providing skills in: single axis mastering on all six axes, how to create and execute a pick-and-place program for load and unload applications, and how to set up and program 2D Integrated Vision for part offset and inspection. Enables students to become proficient in this powerful and versatile design software. Includes 3D Design, Technical Communication, Simulation, Product Data Management, Visualization, and Cloud Based Data Management Techniques. After completing this certificate, students may test for the SolidWorks CSWA – Academic Certificate. Technology and systems for Connected and Autonomous Vehicles is growing rapidly as we move toward a driverless future. Henry Ford College is at the forefront of training students in the core concepts and skills needed to work in this demanding field. The successful engineering of complex systems such as connected and autonomous vehicles requires that the design and methodology of these “systems of systems” follow a disciplined approach. Systems engineering focuses on developing the appropriate framework for successful design, testing, validation, and management of complex systems over the entire life cycle of a product by carefully considering the needs and functionality of the product at the start of the development process. In this course, students will be introduced to the concepts and tools of systems engineering and how systems engineering relates to other engineering disciplines. The course is largely activity-based with concepts introduced to support the activities and put them in the appropriate context. The course includes a group project that covers concept, stakeholders, use cases, requirements, interfaces, verification and validation, and quality assurance for a system. Group project covering stakeholder identification, use cases, requirements definition, verification and validation, testing, and quality assurance for a CAV system or subsystem. Understand the role and responsibilities of the system engineer. Understand systems engineering as a multi-discipline field. Understand use cases, concept of operations, and identification of stakeholders. Understand the “system of systems” viewpoint of systems engineering. Understand the importance of interfaces and proper documentation. Understand the concept of a requirement and the different sub-types of requirements (functional, design, derived, etc.). Practice writing meaningful requirements from the consideration of use cases, concept of operations, stakeholder needs. Understand the relationship between requirements and testing. Understand the difference between verification and validation. Practice with test definition and creating a Design Verification Plan. Understand the FMEA as a quality assurance tool. Practice creating an FMEA using an appropriate worksheet. Complete a project that includes elements from both sides of the V-model. Information is traveling faster and being shared by more individuals than ever before. Although project management has been an established field for many years, managing complex technology projects and programs requires tools, strategies, and information beyond standard project management. This course covers the essential managerial and technical aspects of modern technical project management. By weaving together theory and practice, the course presents an understandable, integrated view of project management. In the dynamic Connected and Autonomous Vehicles (CAV) Manufacturing Research and Development world, methods and best practices are constantly evolving. This course provides up-to-date information on how principles and effective use of software can help to manage projects. Additionally, it gives professionals an opportunity to practice appropriate tools and techniques in a classroom environment, where stretching one’s knowledge can take place. Topics include project integration, scope, time, cost, quality, human resources, communications, risk, and procurement management. This course offers practical knowledge for employees in the automotive manufacturing industry working in Connected and Autonomous Vehicle (CAV) programs and projects. It provides skills practice that can be applied immediately. The course offers problem solving, financial tools, customer centered problem solving, and negotiation skills. Session One: Students will learn practical knowledge of project-based accounting. Session Two: Students will learn the basics of appropriate behavior and communication in a business environment. Personal, interpersonal, and group behaviors are discussed. Cultural issues, gender issues, and effective problem solving techniques are also covered. Students examine how to use various communication styles in interactions with team members, superiors, peers, subordinates, and clients through role-playing scenarios. Session Three: Students will develop and improve leadership skills. Students will review and practice effective leadership techniques that can enable them to build stronger teams with synergy. Students will also be able to examine their leadership style and compare it to effective models. Role-playing will be utilized. Prepare a project budget including a resource, procurement, and quality plan. Describe cost classifications of a project including materials, labor and overhead. Describe the effect of depreciable assets on overhead. Use the net-present-value and internal-rate-of-return method to evaluate an investment proposal. This course provides a systematic introduction to functional safety as applied to CAV technologies. The ISO 26262 standard for functional safety of road vehicles is covered, including the standard’s requirements and industry practice meeting those requirements. The course presents several standard methods of automotive system safety analyses (reliability block diagrams, FMEA, FMEDA, fault tree analysis) and how to execute them. Practical application of safety analysis to product design is emphasized using case studies and application examples drawn from the automotive industry. This 32 hour course is a review of basic arithmetic; whole numbers, fractions, decimals, signed grouping symbols, square root, ratio and proportion, flat and round tapers, simple and complex gear ratios: practical industrial shop problems are employed. This 32 hour course discusses print reading fundamentals needed for presenting concepts and techniques to various segments of today's industry. Includes the alphabet (use) of lines; projection of various shapes and surfaces; presentation of hidden details; and methods, units of measurement, and techniques used for locating details in a variety of drawings. This 48 hour course prepares students for a career in the trades is assessed through an overview of industrial processes. A review of math, blueprint reading and measuring tools relative to shop application are major components of the course. Students receive diagnostic evaluation through testing in these major areas. Whether you are a lifelong learner or want to develop your professional skills, our community-based education programs promote social development, community growth and learning for individuals and groups. HFC expands your capacity to use knowledge to solve problems while developing a sense of who you are and how you can be successful in life and your career. Individually or in a group, HFC offers continuing and professional education in healthcare, business, computer technology, communications, culinary arts and hospitality management, health and fitness, industrial arts and technology, visual and performing media arts, and STEM. Henry Ford College has more than 80 years of experience in meeting the existing and emerging needs of business and industry. We have many ready-made programs, and we can also customize training programs at our campuses or on-site at your facility, depending on your needs. We can help you recruit, train, and retain the skilled workforce of the future. Contact the School of Business, Entrepreneurship, and Professional Development at 313-317-6600. Employers may set aside state payroll taxes for each new hire and allocate those funds to community colleges to train these newly hired Michigan workers. This option allows companies to expand and grow their workforce in Michigan, and even expand their operations in Michigan. The program promotes collaboration and partnerships between employers and Henry Ford College. We encourage you to contact us to meet your workforce training needs. The Skilled Trades Training Fund (STTF) is an economic and workforce development initiative funded by the State of Michigan. Competitive grants are awarded to employers to support training for both new and existing workers to enhance talent, productivity, and to retain skilled employees. This effort will increase the productivity, quality, and competitiveness of Michigan's businesses. The grants, administered through Michigan Works, allow employers to collaborate with Henry Ford College to implement training plans for their workers. Grant awards are based on the number of workers in the training programs and can serve as few as two workers, or hundreds. The training must last one year or less and emphasizes training activities that can be completed within four months or fewer. The American Apprenticeship Initiative, funded by the Department of Labor, aids industry in creating apprenticeships in advanced manufacturing, information technology, transportation, healthcare, supply chain and logistics, and non-traditional industries. Our goal is to integrate best practices and design new models for training in high-growth sectors. Ultimately, this will increase the number of registered apprenticeships and workers' mastery of in-demand skills. The MEDC Community Ventures (CV) program is an economic development initiative that promotes employment and social enterprise. CV is designed to alleviate poverty and promote safe and vibrant communities. CV has an annual goal of placing 1,000 “structurally unemployed” residents from Pontiac, Detroit, Saginaw, and Flint into full-time, long-term employment. Companies must in good faith hire job seekers into positions that pay at least $10 per hour, offer full-time employment or at least 30 hours per week, and place workers into permanent, year-round positions. Job seekers in the CV program must be residents of Detroit, Pontiac, Saginaw or Flint.